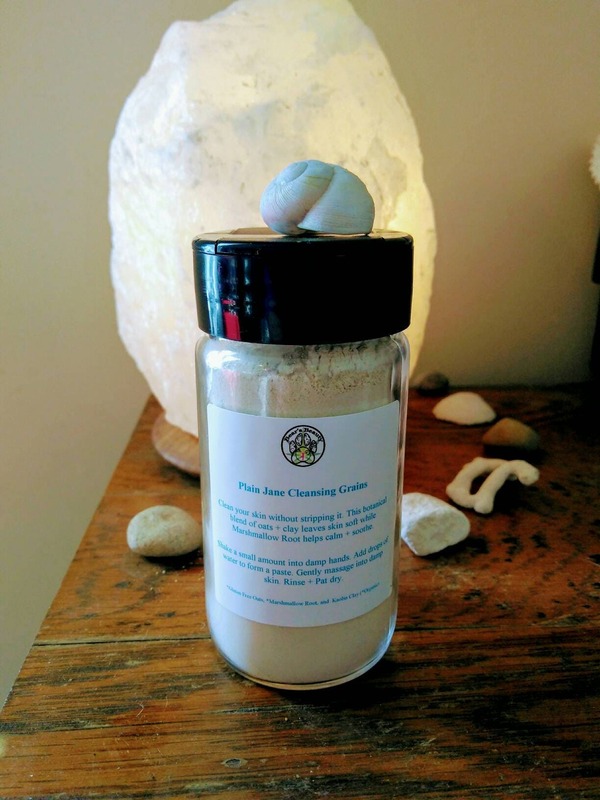 I have been working on perfecting cleansing grains for a few years now. After trying what seemed like hundreds of versions of them, I finally perfected the blend. HIBISCUS CLEANSING GRAINS is a thoughtful blend of Organic Hibiscus Petals + Watermelon Fruit + Organic Beet + Australian Pink Clay. This blend is perfect for those with dry skin + fine lines + signs of aging + dullness. Cleansing Grains are a 3 in 1 products. I love cleansing grains because they come dry, giving you fresh face wash each time you mix them and it ensures that you get all the botanical goodness from the herbs and actives. These Cleansing Grains are a mix of Gluten-Free Organic Hand-ground Oats + White Kaolin Clay + Organic Marshmallow Root to help cleanse + remove toxins + gently exfoliate. This mix is more oats than clay, so it is not meant to be overly drying. Simply shake a small amount into damp hands, add a few drops of water or hydrosol to make a paste. Massage paste gently into damp skin. Allow to sit for a gentle detox mask or rinse right away. Pat dry and follow with toner + serum + moisturizer. AFTER OIL CLEANSING : While skin is damp, follow steps above.